Wondering about how to homeschool your kids? Aren't sure it's for you? We're here to help! How to Homeschool works with new and advanced homeschoolers to help them understand the homeschool curriculum options that are available to them. We help parents figure out how to homeschool, in addition to the different ways to homeschool. Many parents don't know the laws or how to homeschool when they start exploring the option. We have a secret - YOU CAN DO IT! How to Homeschool will get you started! While this site helps all parents learn how to homeschool their children, it also helps parents who are looking to supplement what their children are doing in public or private school. Figure out the homeschooling laws in your state. Just as public schools have different rules and laws for each state, so too does Homeschooling. Each state has different laws so make sure to read up on them. You can view homeschooling laws in your state on How to Homeschool. Even though all states allow parents to homeschool their children, some states (like California) require parents to register as private schools, while others (like Pennsylvania) mandate that homeschooled children take standardized tests as they reach the third, fifth and eighth grades. Locate a local homeschooling group. They can be a wealth of information for any new homeschooling parent. Often there are Veteran homeschoolers that will be more than happy to help you get started and suggest homeschool curriculum and resources to start with. They can be a wealth of information and they are almost always happy to help any new homeschooling parent. We're in this together! You can find these support groups by find other homeschooling parents either online in a Facebook Homeschooling Group or locally. Like anything else, homeschooling can get lonely without outside support. Decide on an approach to homeschooling. Read "how to" articles about homeschooling on HowToHomeschool.net & other websites. One of the advantages of homeschooling is that it allows parents the freedom to determine what and how their kids learn. You can read more about the homeschooling styles most used or try out something completely new. Find a homeschool curriculum that will work for your child(ren). You have the choice of a complete homeschool curriculum package or finding different resources from many different publishers. It all depends on your child's needs. 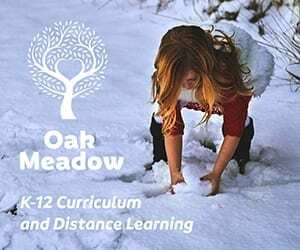 You can find plenty of homeschool curriculum options in our Curriculum Directory. It can easily take you a year to get into the homeschooling groove. It takes practice, trial and error, and patience. It's new for you, and it's new for your child. 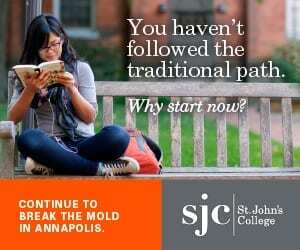 Take it slow, and decompress from the traditional school life. It’s okay to try out different philosophies of education or different homeschool curriculum. The beauty of homeschooling is that you can tailor the education specifically for your child and their needs. Just keep trying until it feels right. For more help getting started, most new homeschooling parents reach out to us directly. The Editors of HowToHomeschool.net have been homeschooling for 20+ years and it seems like just yesterday that we started. Due to our experience, we understand the complexity, frustrations and happiness that comes with homeschooling your child(ren). This site is the most trusted go-to source for all homeschooling related questions and answers. We hope you find what you are looking for and that we can be helpful in your homeschooling journey. Please do not hesitate to reach out with questions or suggestions for the site. We are always listening.